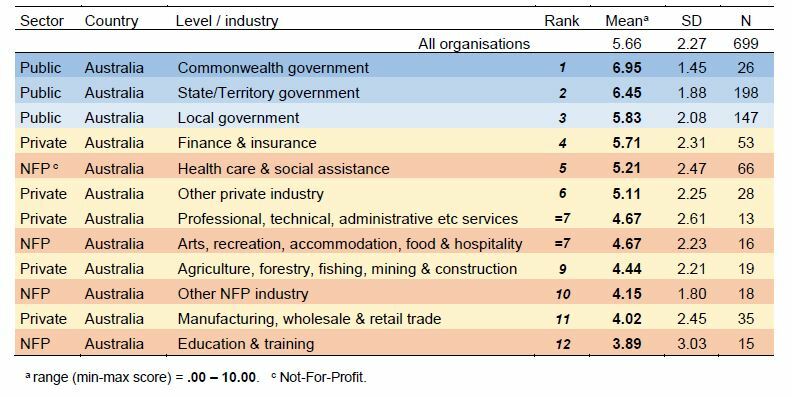 A world-first ranking of the strength of whistleblowing processes shows Australia’s not-for-profit sector is more challenged than the business and government sectors in dealing with employee complaints – with many not-for-profit organisations scoring zero out of 10. The results, from 634 organisations across 18 industry groups and public sectors, benchmarked the strengths and weaknesses of whistleblowing processes as part of the Integrity@WERQ phase of the Whistling While They Work 2 research, which was released on Wednesday. Project leader Professor A J Brown, from Griffith University’s Centre for Governance and Public Policy, said the results “vividly” showed the extent of challenges faced by business and “particularly the not-for-profit sector in trying to improve their whistleblowing and integrity regimes, and the imperatives for better standards and guidance”. “It’s apparent that many private and not-for-profit organisations are making concerted efforts to establish workable whistleblowing practices, and now we can see more clearly, who’s making progress as well as the major tasks ahead for all – including many governments,” Brown said. The research showed most organisations had systems for recording and tracking wrongdoing concerns, but 23 per cent of organisations had no particular system in place, or any particular support strategy for staff who raised wrongdoing concerns, and more than 80 per cent did not have processes for providing compensation or restitution to whistleblowers if they suffered detrimental outcomes. Brown told Pro Bono News that more than 100 not for profits responded to the research survey and “the gaps between better and worse sectors were large and real”. “Clearly they participated because they are making an effort,” he said. “We knew on average that the processes that they were reporting were weaker on a comparative basis but now we can see which sectors are stronger and weaker so we can see that everyone across the board has challenges but there are some big differences in terms of [different] industries within the not-for-profit sector. He said the critical process that everyone was performing badly in was whether the supports that were provided were “dedicated mechanisms”. “That is, going above and beyond the simple problems such as saying they can ring the employee help line or processes for trying to remediate or compensate where a whistleblower does suffer detrimental outcomes,” he said. “Right across the board organisations are falling down in terms of [not] having any process that would say ‘we would actually do things like apologise’ or ‘we would do things like adjust work practices or work arrangements to compensate’ or ‘we would have a process for compensation’. Brown said while the research showed that organisations had processes it also showed a measure of the strength of those processes. “So the vast majority of organisations say they have formal policies and reporting channels and provide some support for whistleblowers but what this method does is show other things like whether there is a proactive approach or strategy for recording and tracking wrongdoing, dealing with concerns when they are raised, is there a support strategy and is it reactive, [and] if there is a process for assessing risks for reprisals or detrimental action,” he said. “In a lot of not for profits there are quite strong processes for example in the health and social assistance sector… but when it comes to the organisational dynamics of protecting and supporting people clearly, the not-for-profit sector is even more challenged than other types of companies. He said the survey’s results showed at least one not-for-profit organisation rated a 10 out of 10. “Some got nine out of 10 but there are also a lot who got zero or one. It shows that there are companies doing it well and plenty that aren’t doing it well,” he said. “Part of the problem is that for companies generally including the not-for-profit sector, there is a consensus now that the limited provisions in the Corporations Act are woefully inadequate and it’s a big question now as the government plans to update those laws what sort of guidelines should there be, should they be mandatory or incentives for higher quality processes? We don’t know the answer to that presently. Launching the research, Louise Petschler from the Australian Institute of Company Directors said the timing was perfect for new evidence to inform current debate around whistleblowing practice and policy. “The full research will provide an invaluable snapshot of the effectiveness of whistleblowing practices, and allow individual businesses to know their performance in an anonymised way – a tremendous opportunity,” Petschler said. 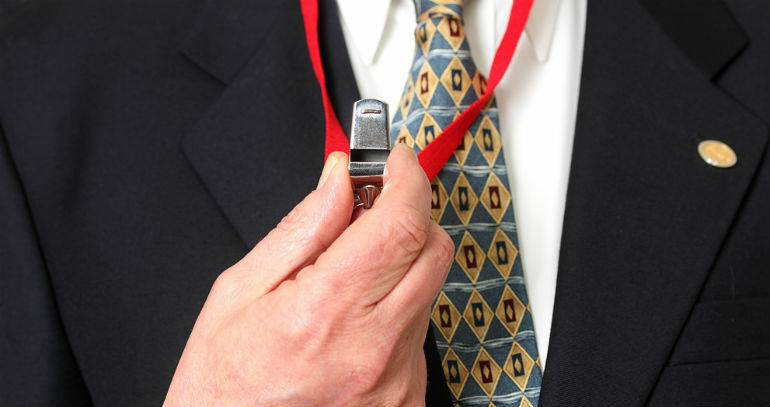 “With the current Parliamentary Joint Committee inquiry into Australia’s whistleblowing protection laws, substantive change is certainly on the way. The researchers are keen to recruit more people into the study and have released a guide to participating in the research.